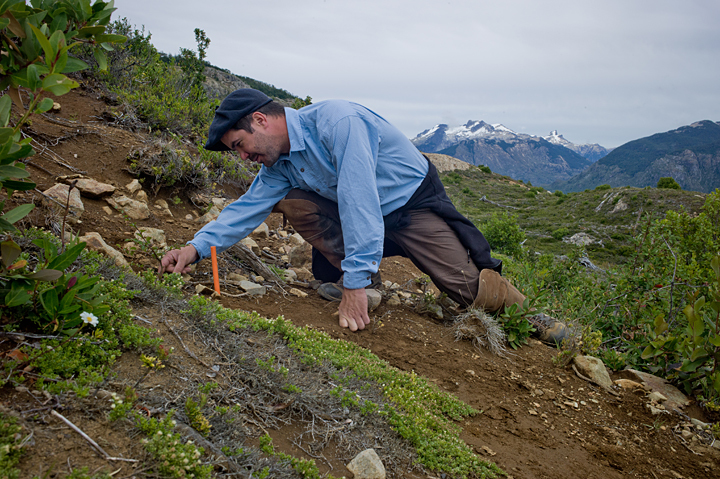 Patagonia Sur’s native-species reforestation project in Chilean Patagonia has become accredited under the Verified Carbon Standard, one of the leading certifications within the global carbon management industry. It is the first project to use trees native to Chile while focusing on restoring the country’s indigenous biodiversity. Since 2010, Patagonia Sur has been creating carbon offsets through its Reforestation and Biodiversity Project on its Valle California property in the Palena province of southern Chile. Three types of native-species beech trees – Coigüe, Ñirre, and Lenga — are planted. Each tree is expected to sequester 0.48 tons of carbon dioxide over an 80-year period. In 2012, Patagonia Sur expects to plant more than 1,000,000 trees. The Verified Carbon Standard (VCS) is a global leader in the voluntary carbon market, ensuring that carbon credits sold to companies and consumers can be trusted and produce tangible environmental benefits. Patagonia Sur fulfilled all requirements for VCS certification: its carbon offsets are scientifically sound, additional beyond business-as-usual activities, measurable, permanent, independently verified, and each offset is used only once to offset emissions. Patagonia Sur is replanting in areas that were deforested in the early 1900s by settlers who burned more than seven million acres to clear land for pasture. Deforestation is a leading contributor of carbon emissions worldwide, second only to the burning of fossil fuels. Temperate forest absorbs the most CO2 and Chile hosts one of the world’s largest areas of temperate forest. In addition to sequestering carbon dioxide, Patagonia Sur’s Valle California reforestation program benefits the area’s ecology by helping control soil erosion, strengthen native plant communities, reduce the number of invasive plant species, and improve habitat for the region’s wildlife. Therefore, when clients purchase a VCS-validated carbon credit from Patagonia Sur, they are able to achieve their own goals of staying carbon neutral, while also ensuring the long-term preservation of one of the world’s most remarkable ecosystems. Sustainability-minded corporations have been another significant and receptive market for Patagonia Sur’s carbon offsets. Patagonia Sur created the Corporate Conservation Circle (C3) to collaborate with companies from around the world — such as Swiss watchmaker Audemars Piguet — which have a demonstrated commitment to environmental stewardship. “Patagonia Sur embodies Audemars Piguet’s values of authenticity and innovation, as well as our longstanding support of environmental conservation and education projects around the world. We are honored to be a founding Corporate Conservation Circle member of this spectacular venture,” adds François Bennahmias, President & CEO, Audemars Piguet, North America. In addition to creating a dedicated Audemars Piguet forest, Patagonia Sur also provides corporations with the opportunity to host their top clients at The Patagonia Sur Reserves, a world-class eco-tourism destination. Individuals and families interested in offsetting their carbon footprint, or neutralizing specific activities or items such as weddings, Patagonia adventure travel, home, or vehicle, may purchase offsets directly from Patagonia Sur’s website.